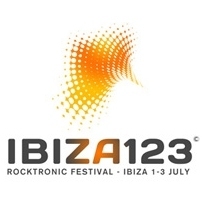 We are pleased to announce that Sting will headline the first Ibiza 123 Festival! For the performance on Sunday, July 1, he'll be joined by a 5-piece band including Dominic Miller (guitar), David Sancious (keyboards), Vinnie Colaiuta (drums), Peter Tickell (electric fiddle) and Jo Lawry (vocals). Fan Club presales begin at 10AM (local time) Wednesday, March 14. Tickets will go on sale to the public Friday, March 16 at 10AM (local time).